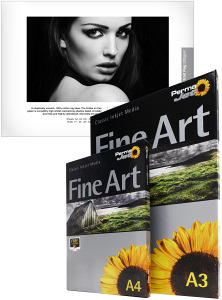 Brian Wadie reviews the latest range of FineArt printer paper from Permajet. 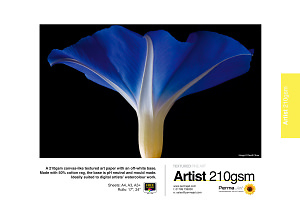 Brian Wadie evaluates PermatJet Textured Fine Art Paper. Brian Wadie reviews four more Ilford Inkjet papers for ePHOTOzine. Brian Wadie takes a look at four A3+ Ilford papers for ePHOTOzine. Matt Grayson once again treads where no man dares, laughing in the face of danger. All to test the new photographic Inkjet paper from Paterson. Matt Grayson takes a look at a batch of paper from Paper Spectrum designed for the professional photographer. Matt Grayson takes a look at some paper from Sihl. Just another glamourous review in the high flying cocktails and parties lifestyle that we're used to. Peter Bargh tries ICI's heavyweight glossy photo papers in a HP 970cxi A4 printer and through the latest Epson 1290 A3 model.